As home prices continue to rise, home owners equity is also growing at the fastest quarterly rate since 2013 according to a NAR Economics blog. This is just one of many factors that is driving our Real Estate market, aside from lower mortgage rates as well as reforms to the loans themselves. HOME PRICES In May, the median home price reached $228,700 according to NAR. 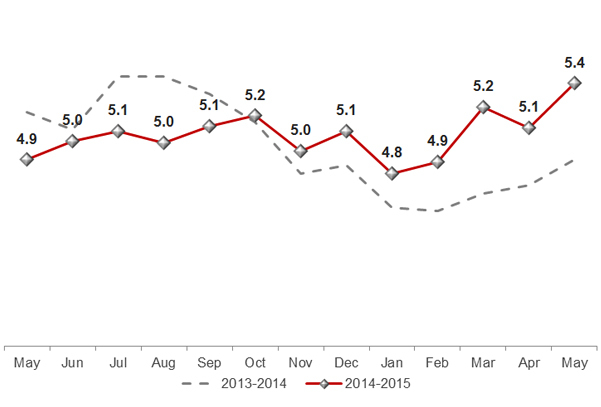 This was an increase of 4.6% from April and was up 7.9% from May 2014. HOME SALES Homes sold at a seasonally adjusted annual rate of 5.35 million homes in May, this was up 5% from April’s figures and up 9% from the same month of the previous year.